[ENGLISH] A geyser is an amazing natural phenomenan caused by a crater contaning hot water bursting out frequently because of the huge heat and pressure underground. 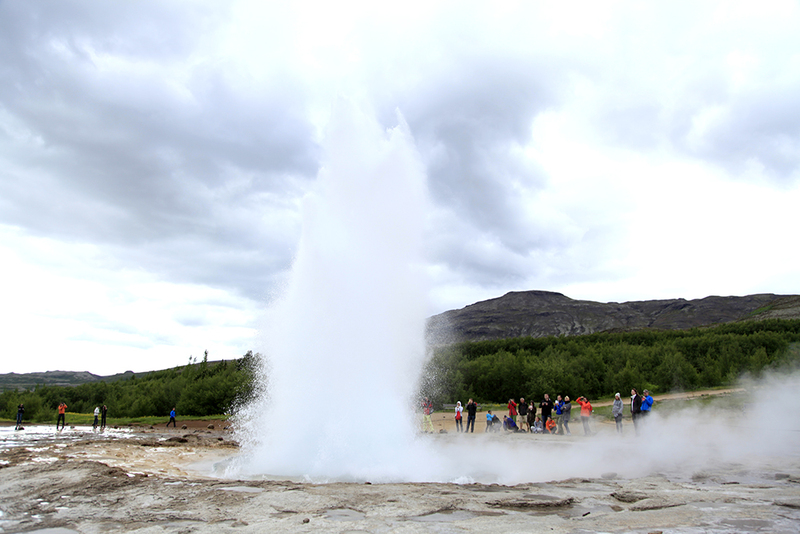 Iceland is well known for it`s high level of geothermic activity and that is why there are so many geysers here. The most popular one is the Great Geyser which is found in the South West of Iceland and can erupt water to heights of up to 40m. The largest geyser in Iceland stopped its activity in 1950’s after seven centuries. This happened because people used to throw soap and stones into the Geyser in order to create foam and encourage eruptions to occur. As a result in the 1950’s and 2000 there was no activity in this place at all. Fortunatley today, due to efforts to stop these activities, there are some occasional eruptions. Sadly though it has lost it`s former power and the water can now only reach 10 meters high – 50 meters less than it used to reach! We want to protect these beautiful geysers from the fate of this one. We are also keen to ensure that tourists know how to protect themsevles as geysers can be dangerous. That’s why we want to give some tips when visiting this amazing place in Iceland. The water contains a lot of sulphur and its temperature can reach between 80-100 °C (176-212 °F). That’s why it is strictly recommended not to touch or drink geyser’s water or the water from the rivers around it. As there is frequently heavy wind in Iceland, you should be careful to make sure that you are not standing in the wind direction when you are waiting for the eruption unless you want an early shower! If it`s cold and you get wet it could really ruin the rest of your day. Throwing stones and coins into the geysers pollutes the water and modifies the natural balance of the site. If you are a smoker remember that it is forbidden to smoke in the geyser area. Also remember not to throw your cigarette butts on the ground because they can take between one to ten years to disappear. This entry was posted in English and tagged Eco Messengers, EcoTips, Geothermal energy, Geyser, Geysers, Geysir, Golden Circle, Iceland, Nature Iceland, Tips Iceland, visit Iceland, World Wide Friends on July 17, 2013 by ecotipsiceland. This page would benefit from an English editor.